Memorial Day is just about here, and while we love a good party, it isn’t always in our budget. Even if it’s just you and the kids, or a few friends, you can create a Memorial Day to remember with these ideas. You can’t have a Memorial Day party without an American flag! But why not make one that you can eat, too. 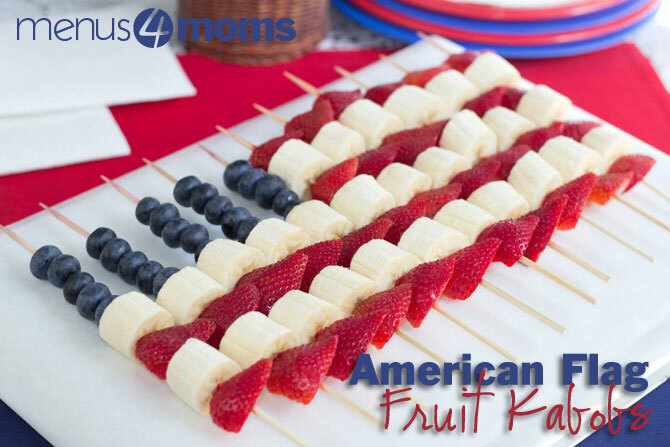 Using strawberries, bananas, and blueberries, Menu4Moms designed these patriotic fruit kabobs and your kids and guests will love them. 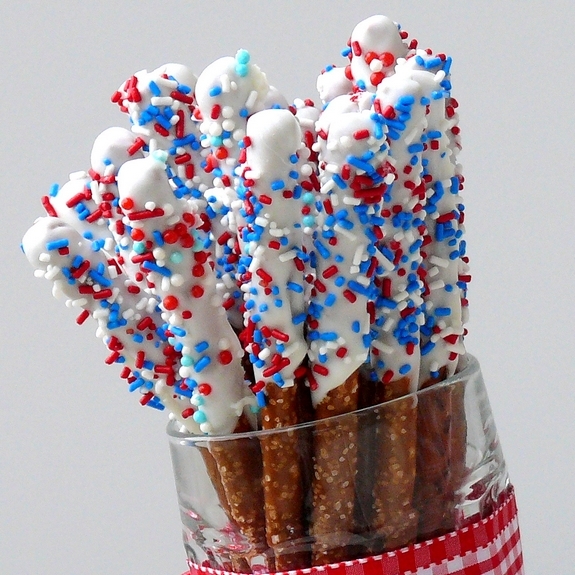 Sweet and salty go well together, and Noble Pig created these easy to make red, white, and blue pretzel sticks. Fast, simple and affordable. My kids love these snacks, but they only get them once in a while as a special treat. 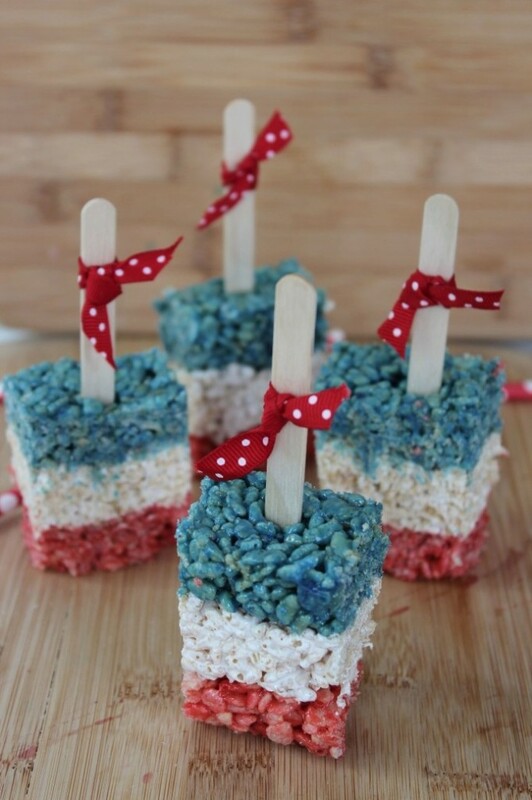 Memorial Day seems like a good day to whip them up and turn them red, white, and blue. July Recipes has a really pretty recipe. 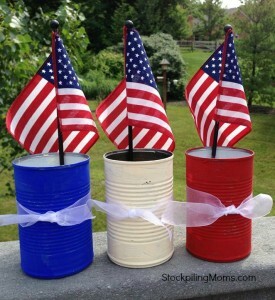 Your kids can help you with this one by painting tin cans red, white, and blue. Then use them to store napkins and utensils for your party. StockpilingMoms has a cute and easy how-to. 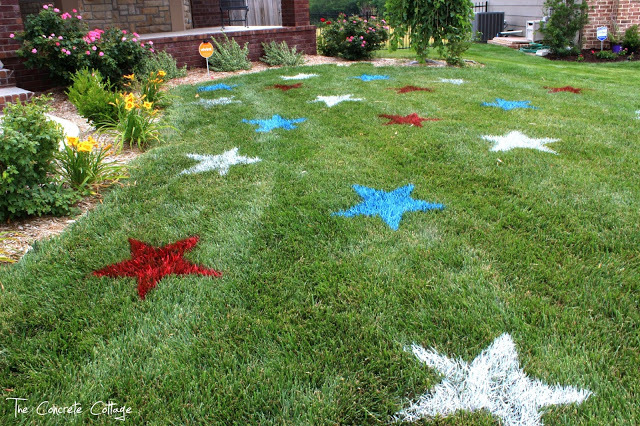 With a simple piece of cardboard from the basement and some spray paint, you can decorate your yard with symbolic stars like these from The Concrete Cottage. Lay them out for a game of hopscotch for some added fun!